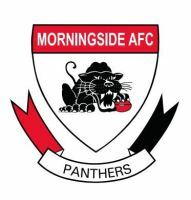 Executive Property Maintenance franchise owner, Fred Carling, is more than your local sponsor for the Morningside Football Club. Fred this year announced in conjunction with the club a sponsorship worth $3,000 in training balls. The EPMS logo is printed on the ball along with signage inside the club and around the ground. Carling joined the club in 2001 and has volunteered his time and money into the club covering women's, junior and senior club programs. His roles have included, Premiership Wild Cats Women's Team in 2003 as Team Manager, Under 16s as Team Manager in the 2005 that included State League players such as Ben Gibson, Kent Delbridge and Guy Tarrant. Runner for the Premiership Reserve Grade team in 2006, a star studded team that included Brisbane Lions pair Scott Clouston and Adam Spackman, Grogan Medallist Nathan Kinch and State U21 players Ryan Holman, Mark Rootsey, Jack Lawler and Team Manager for the seniors for the last 3 years. He also was awarded in 2006 and 2008 the Ian Polglase Club Spirit award for Best Clubman. Club Development Manager Jack Barry said that his contribution around the club could not go unnoticed. He will drop over and mow the lawns, keep an eye out with the ground, collect all the gear, Team Manage the senior team, put his hand up to employ and house players amongst many things. In reality you could hand him the clubman of the year every year and thats not disrespecting the others who contribute enormously to our club. The fact is he is like the rest of us who just love to put his bit in and see the award shared around. Although we are still a bit short of volunteers the ones we have are fantastic. We are all looking for club success. Barry also said that it is important that we support our club sponsors by utilising their services. EPMS can provide complete maintenance of units, factories, private homes, lawns and gardens. Call Fred Carling on 0414 425 584 and get behind our club sponsors. He is fast and efficient and provides free quotes.